We can offer a complete service from design, manufacture and fitting across a wide range of signs and graphics solutions, Signs Express (Nottingham) is part of a nationwide network of sign production centres which has been established for 25 years. In a recent survey of 1000 customers, 95% said they would recommend Signs Express, isn’t it time you found out why? 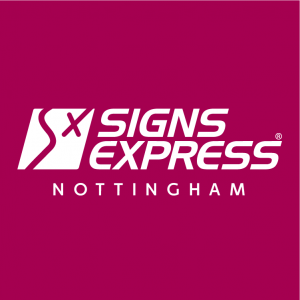 Whether you are a national client with multiple locations or a small business looking to make an impact in your local area, Signs Express (Nottingham) has a solution for your needs. We recognise our customers are unique and so create sign solutions which are bespoke and not menu driven. Use the power of signage to brand, market and protect your business. We’re a signs and graphics company that knows how to make signage work for our customers.